After an accident turns the love of Barbara's life into a dimwit stranger, she gets involved with a man who can offer her stability, minus the passion. She tries to adapt to her new fate, but the memory of lost love continues to hound her. Until she realises that what really matters isn't lost. Sebastián Brahm studied journalism and moved towards film, self-taught, aged around thirty. For five years he taught screenplay at universities in Chile. 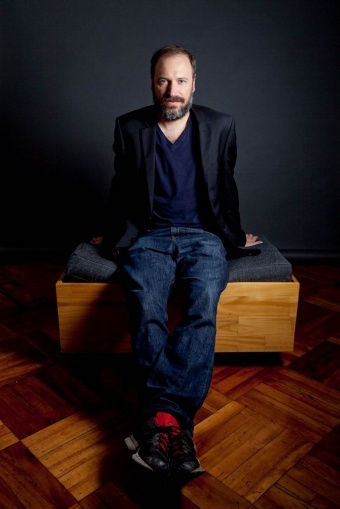 Following the short films Amorosa (2001) and Las bicicletas (2005), he directed his first short film, El circuito de Román (2011). He also co-wrote and co-edited the documentaries, El poder de la palabra (Francisco Hervé, 2009), El salvavidas (Maite Alberdi, 2011) and La once (Maite Alberdi, 2014). He edits documentaries, television projects, advertising and starred in the film Soy mucho mejor que vos (Che Sandoval, 2013).